All Provincial draws & results click here. The Lumsden Monarchs defeated the Raymore Rockets 6-2 on Saturday evening in Lumsden to take a 2-0 lead in the Robert Schultz Cup final. The Monarchs used the power play to score the only two goals of the first period with Brody Luhning and Braeden Adamyk both scoring. In the second period Torey Lindsay scored a power play goal to put the Monarchs up 3-0. With three minutes left in the second period Raymore goalie Dean Brothen left the game with an injury after facing 25 shots. Our Final is set playing for the Robert Schultz Cup. Lumsden Monarchs defeated the Southey Marlins three straight in the one semi-final. All of the games were close and it was an entertaining series. 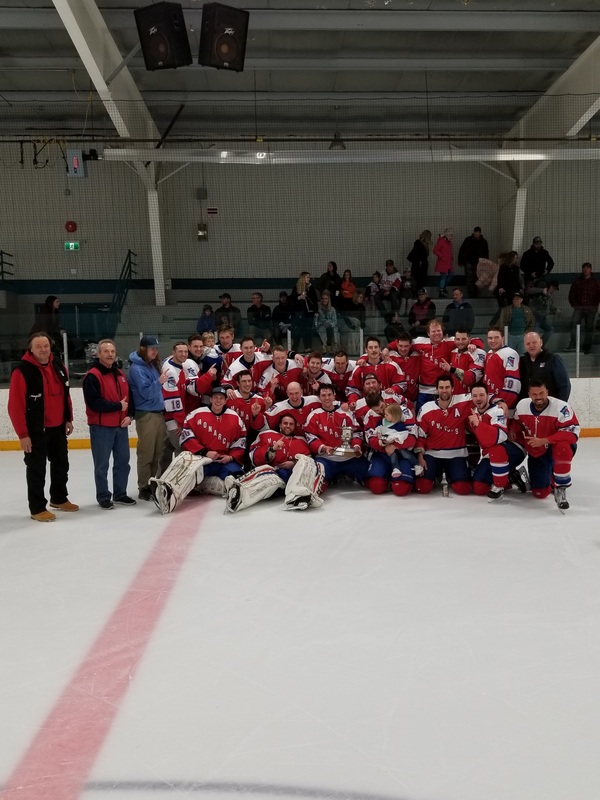 The Raymore Rockets took our defending champions to five games in the other semi-final and were the only team in this series to win on the road defeating the Bulldogs 2-0 on Sunday in Bethune. Congratulations to our 2018-19 Award winners as selected by the teams in the Highway Hockey League. All winners will receive a plaque for their award. The Bethune Bulldogs defeated the Raymore Rockets 5-2 on Tuesday evening in Bethune to take a 1-0 lead in their semi-final series. The Rockets scored first in this game on a goal by Brandon Giroux one minute into game and outshot the Bulldogs in the period but the Bulldogs would score twice in the last minute of the period with both goals being scored by Jake Ulmer. Tyrell Shulko would score just 27 seconds into the second period and the game was tied. The Bulldogs carried a 3-2 lead going into the third period. Congratulations to the Southey Marlins on advancing to the HHL semi-finals. The Marlins won their first series, their first playoff games since rejoining the league. On Thursday evening in Southey they defeated the Cupar Canucks 9-2 to win their series 2-1. Carter Budzak with four goals and one assist and Rylan Freed with two goals and four assists led the way for the Marlins. Ryley Storzuk with two goals and Travis Mohr with one goal rounded out the Southey scoring. Cody Hall and Brayden Frank scored for the Canucks. Congratulations to the Raymore Rockets on winning their first round series against the Strasbourg Maroons and moving on to semi-final to face the Bethune Bulldogs. On Monday the Rockets defeated the Maroons 7-3 in Strasbourg. On Tuesday in Raymore the Rockets won game one of the series 4-1. In Strasbourg Dillon Schwartzenberger and Tyrell Shulko scored to give the Rockets a 2-0 lead going into the second period. Highway Hockey League teams split Provincial games....four HHL teams were in action this past weekend in the first round of Provincials. First up were the Cupar Canucks who were taking on the Provincial 'A' Champions Balgonie Bison on Friday evening in Balgonie. Balgonie had a 3-2 lead after one period and Cupar had a 4-3 lead after two periods. Halfway through the third period the game was tied 5-5 and it stayed that way until 12:20 into the second overtime period when Eamin Milligan scored for the Bison. The Canucks were outshot 51-19. Colby Miller stopped 45 shots for the Canucks.